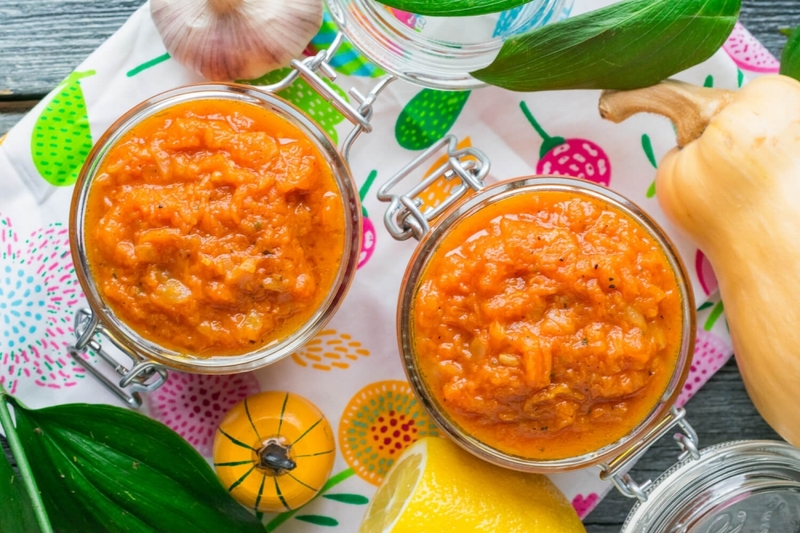 Bright, fragrant puree from pumpkin turns out not less tasty and healthy than a usual snack from vegetable marrows or eggplants. 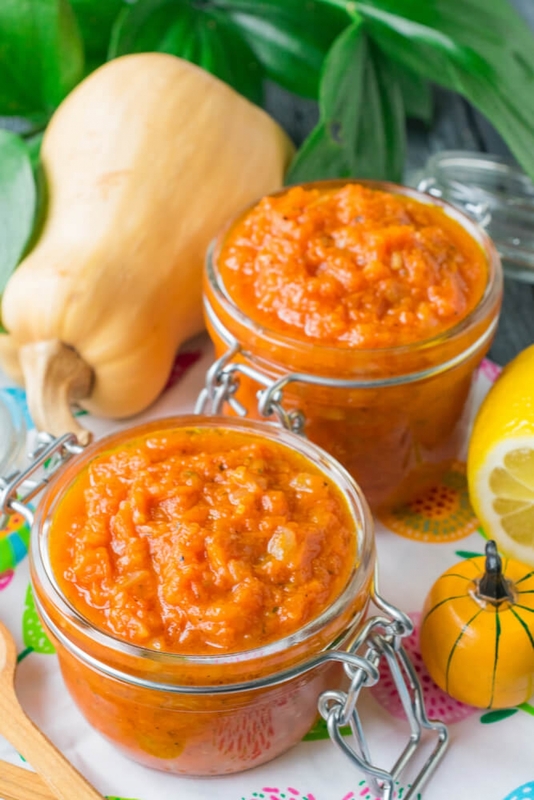 Pumpkin is available throughout all fall and is well stored till the spring that is why you still have time to please yourself and your family with tasty pumpkin puree. 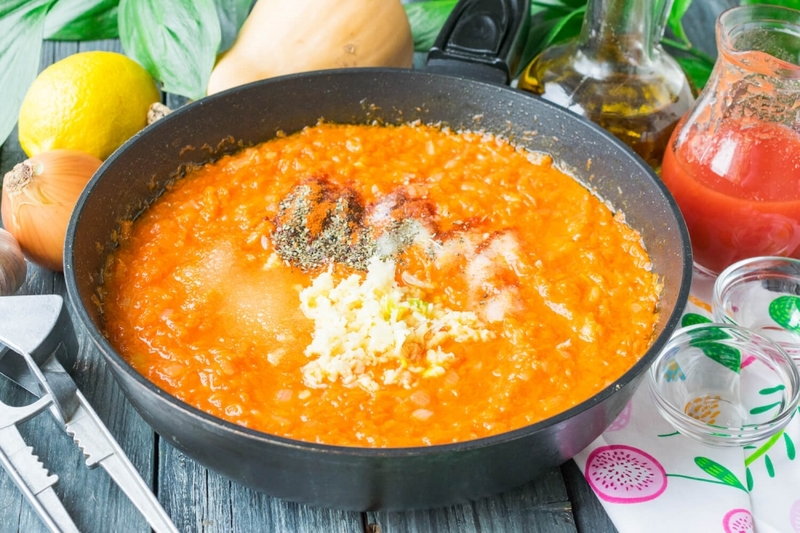 This recipe is perfectly suitable for dietary nutrition, a vegetarian or lenten menu. 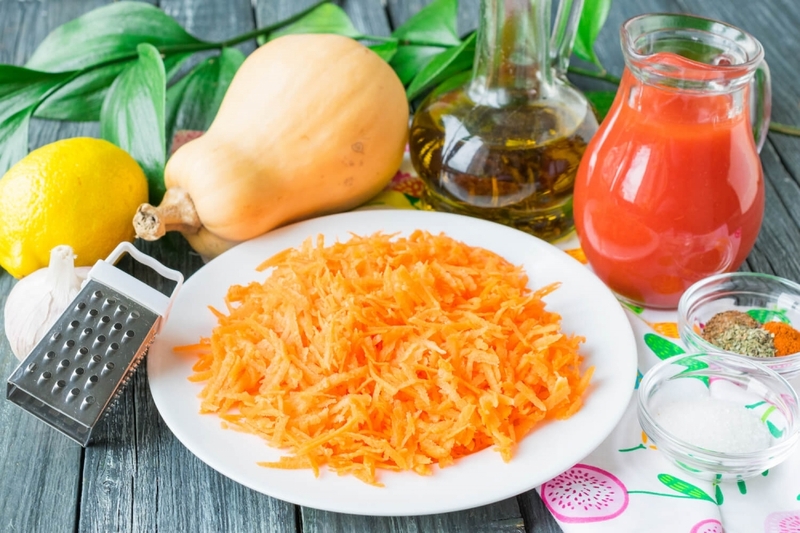 If you want to preserve pumpkin puree for the winter, at 5 minutes before the end of preparation add 50 ml of 9% vinegar to vegetables. Then shift hot puree in the glass sterilized jars, cover with metal covers and roll up with special machine. Turn jars with preparations upside down, wrap them up with a plaid and leave till full cooling. Store ready-made pumpkin puree in dark cool place. From the given amount of ingredients I get 750 ml of puree. 1. Peel, wash and cut into middle size cubes onion. 2. 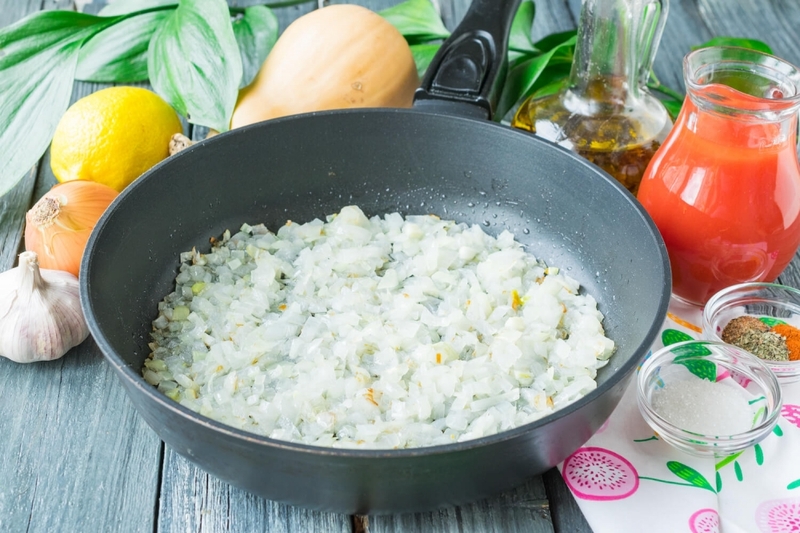 Lay out the cut onions on a frying pan with the heated olive oil. Stirring slowly, fry onions on middle fire to a light golden brown. 3. 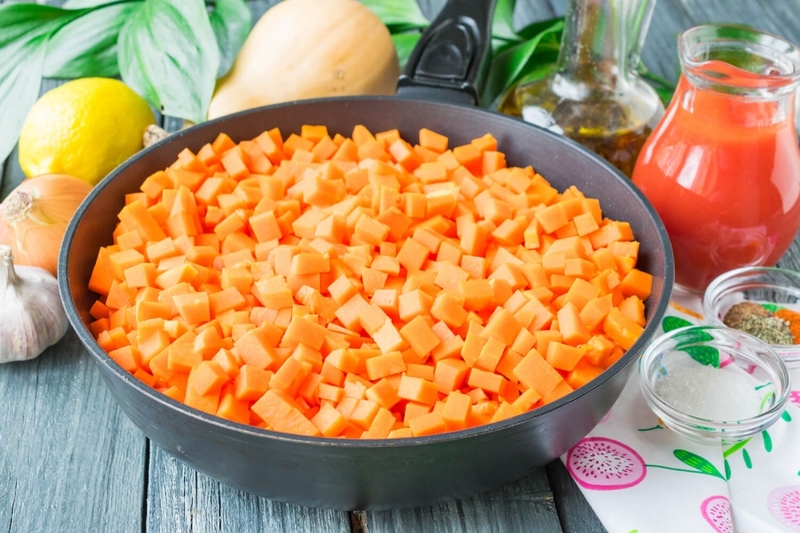 Wash, peel and grate on large grater carrots. 4. 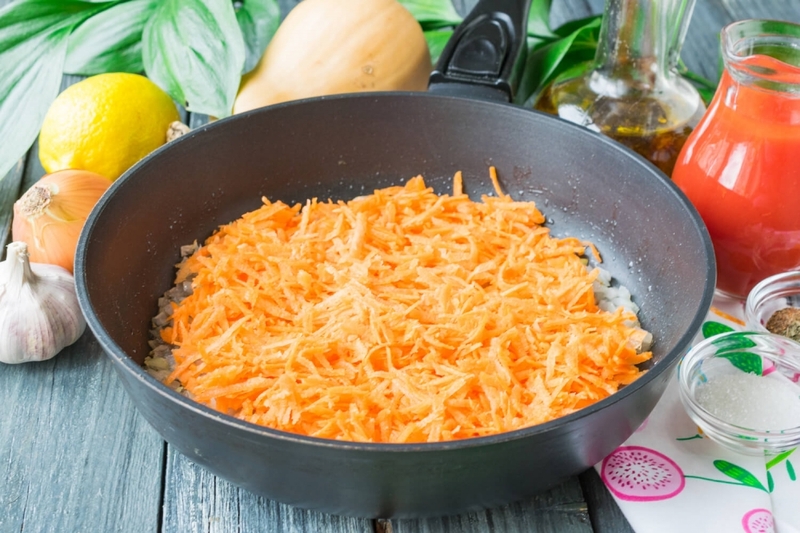 When onions are fried and become soft, add to it grated carrots. 5. Peel pumpkin and remove a core with seeds. Cut pumpkin pulp into small cubes. 6. 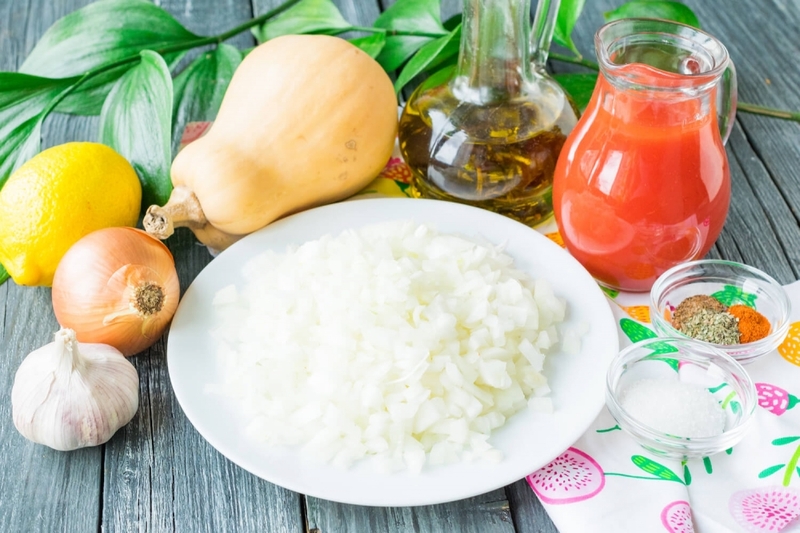 Add the cut pumpkin to onions and carrots and mix. 7. Stirring slowly from time to time, stew vegetables under a cover on low fire. 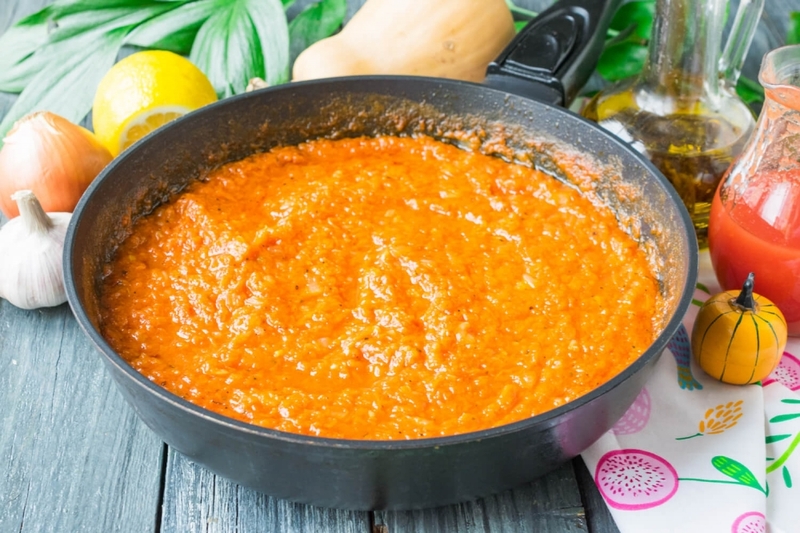 When vegetables become soft, add tomato juice (it can be replaced with fresh tomatoes or tomato paste diluted with water). 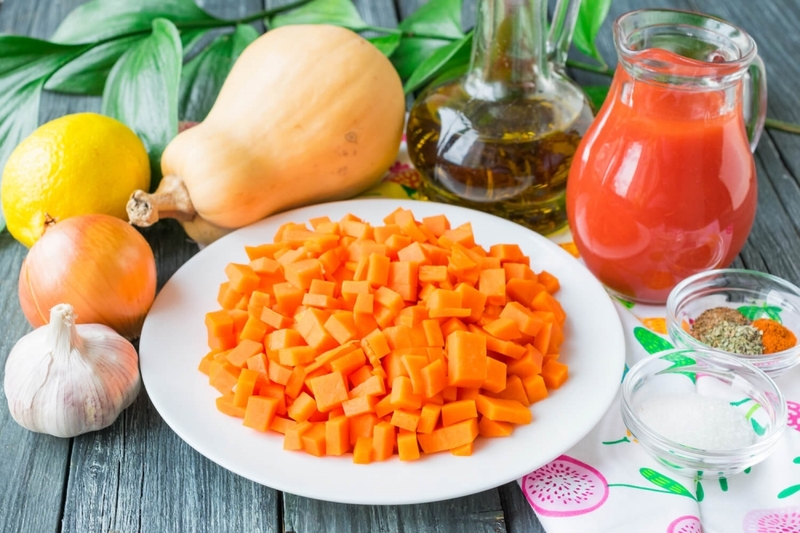 The amount of tomato juice depends on how juicy vegetables that you use and what consistence of puree you want to get. 8. 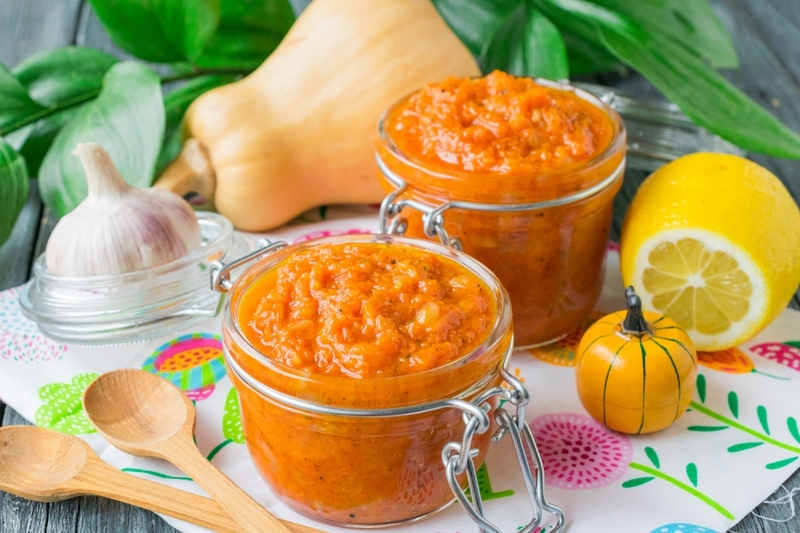 Next add to pumpkin puree the garlic сloves passed through a press, sugar, salt and seasonings. 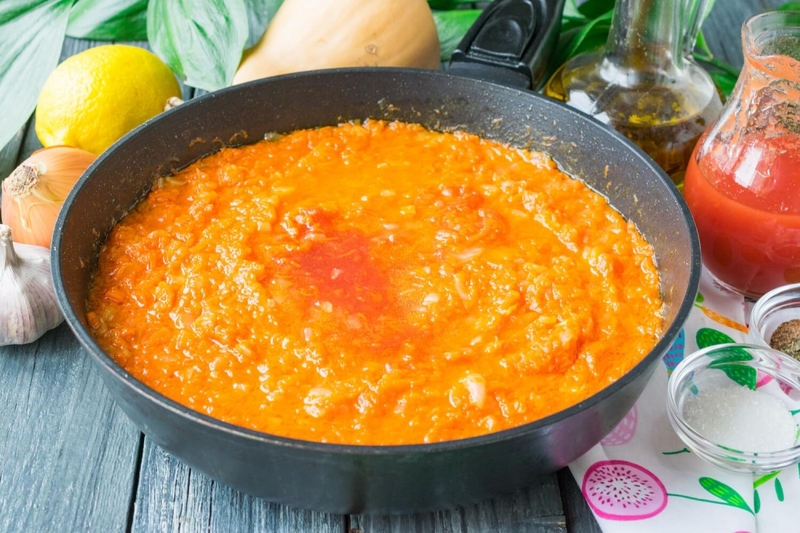 To emphasize taste of vegetables, add to puree 1-2 teaspoons of lemon juice and mix. 9. Continue to stew pumpkin puree on low fire for 5-7 minutes more. At this stage puree can be made into puree with the submersible blender to achieve homogeneous consistence. 10. Shift ready pumpkin puree in dry glassware, cool to room temperature, cover and store in the refrigerator.